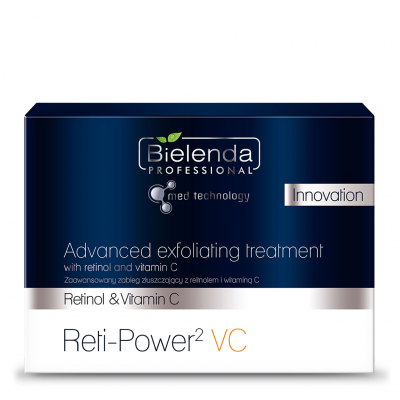 RETI-POWER2 VC ADVANCED EXFOLIATING TREATMENT WITH RETINOL AND VITAMIN C IS DESIGNED FOR EVERY TYPE OF SKIN, ESPECIALLY MATURE, AFFECTED BY DISCOLORATION AND / OR ACNE. 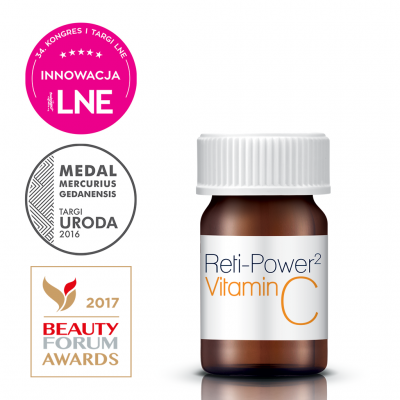 WARNINGS: For professional use only ♦ Before use, professional training is mandatory ♦ The exact application time is determined by the specialist performing the treatment ♦ Strong-acting product ♦ Before EVERY treatment, it is necessary to exclude any contraindications and fill in and sign the Client File (the file is included in the treatment kit). 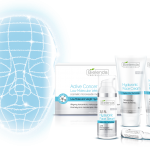 Face resurfacing.